Lending further credence to rumors that Rare intends to revive its SNES fighting franchise in coming months, the developer’s website now has a Killer Instinct page. The page itself is entirely blank. However, around the time Microsoft revealed the Xbox One, Microsoft Studios VP Phil Spencer revealed that Rare is working on a “historic IP,” to be revealed at next week’s E3. Speculation, naturally, ran rampant, with fans wondering what revival might be in store. Killer Instinct has been an extremely popular choice, but everything from Perfect Dark to Battletoads to Conker have been on gamers’ lips in recent weeks. Still, nothing is certain until next week’s expo, and this could be a fake-out or a company shoring up its IP for some legal purpose. But it would be a logical and extremely popular franchise to revive. Killer Instinct was developed by Rare and released to arcades in the same month the developer released Donkey Kong Country on the Super Nintendo. The fighting game was met with significant critical acclaim, eventually being ported to the SNES. 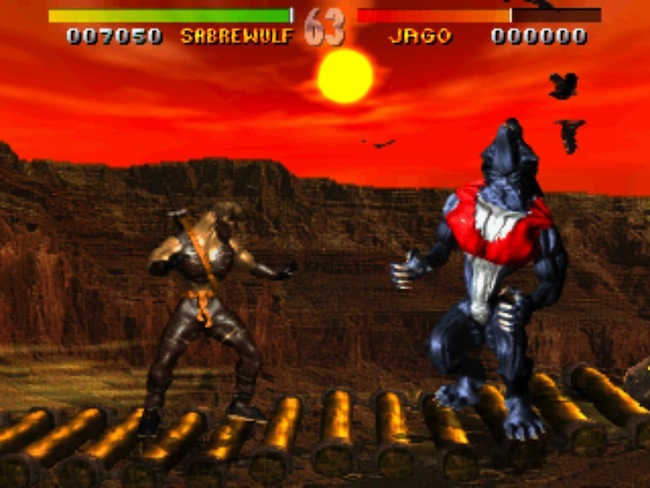 A sequel, Killer Instinct 2, was released two years later and ported to the Nintendo 64 – and the franchise hasn’t been heard from since. What do you think? Do you hope to see a Killer Instinct revival? Let us know in the comments.